This is a type of public notice ad. However, it is a formality that is very important and plays a crucial role. This is a notice that is advertised in newspapers, to inform all the stake holders of a company, about its news address. However large or small a company may be, it has to inform its stake holders about the change in its official address. This important message is publicized through newspapers because, the company cannot be writing in person to all its members about the same. 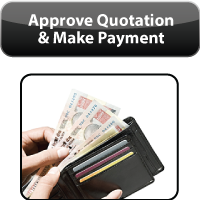 It will cost the company dearly and also involve wastage of manpower and resources at the same time. Hence a public notice is printed in a leading newspaper informing all the concerned as a standard formality. 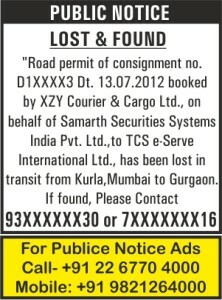 These ads can be seen in newspapers as"Office shifted" in the public notice section. In most cases, when a company goes up in prosperity, it will require more manpower to maintain its growth. If there is more manpower, there will have to be more space to accommodate the people (work force) .It will also require further more infrastructure as well. So, for all these reason which are directly and indirectly connected to growth, this is one of the many reasons why companies place "Change of company address notice" ads. In the case of Change of company address notice ads , The ads clearly mention the company's name, it's present address, and the new "would be address" . It will even clearly mention the date of starting the operations at the new address. We do the job of placing your "Change of company address notice ads". We provide the best newspapers having a good circulation and readership. 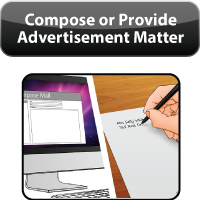 We offer reasonable price and free ad drafting. You can book ads @ Economical rates in newspapers across the country. We Book Classified / Display Ads. For any clarification and help regarding "Change of company address notice ads" in newspapers, you can E-mail us on publicnoticeadvt@gmail.com or call us on 9821254000 / 022-67707001/ 67707002 / 67707003 and we will be glad to assist you.